For those of you who haven't yet decided on a suitable theme for this year's Christmas decorations, the next couple of weeks is actually a good time to buy new ones as many retailers will begin to reduce the price of their festive collections in an effort to shift stock before close of Christmas. 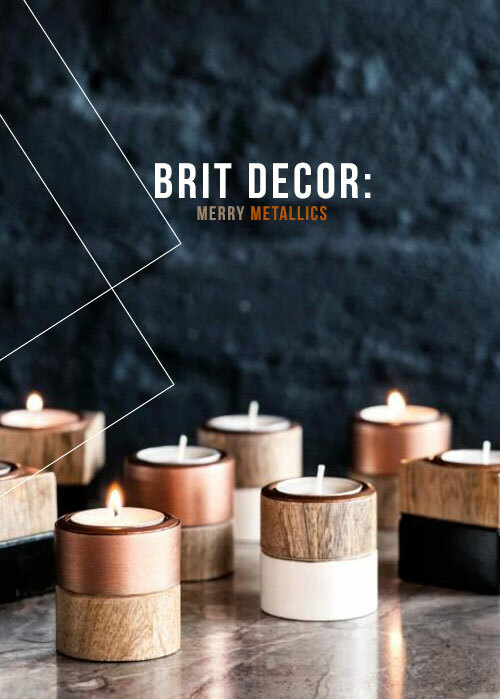 If you are stuck for style ideas, metallics are deservedly hitting the headlines in the world of interiors, and these shiny materials lend perfectly to Christmas decorations. 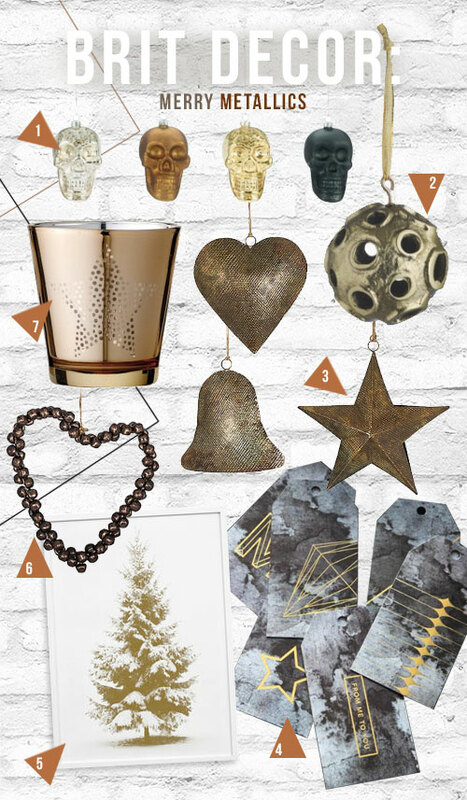 At the Brit Decor cottage, I have already indulged in a dose of metallic magic with my handmade copper 3D gems - featured here on the blog last week.